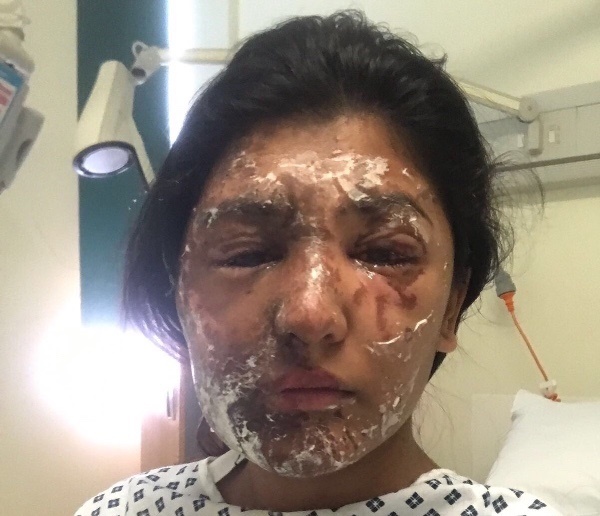 A young woman and her cousin were left with agonising injuries after a man threw acid at the pair through their open car window. 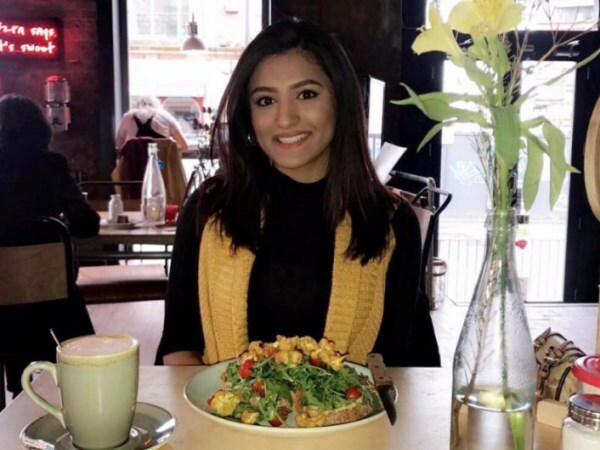 Resham Khan (21) and Jameel Muhktar, her 37-year-old cousin, were driving through Beckton, east London, on the morning of 21 June, on her 21st birthday, when they stopped at a traffic light. An unknown man ran up to the car and threw sulphuric acid at the pair through the open car window. The cousins raced off in a bid to get away from the attacker, but pain overtook Jameel and he crashed the car. “The pain was excruciating,” Resham, a business management student who was about to start a new job, told ITV. They were forced to completely remove their clothes and ran through the street begging for water and help. A passer-by stopped and drove the pair to a nearby hospital. 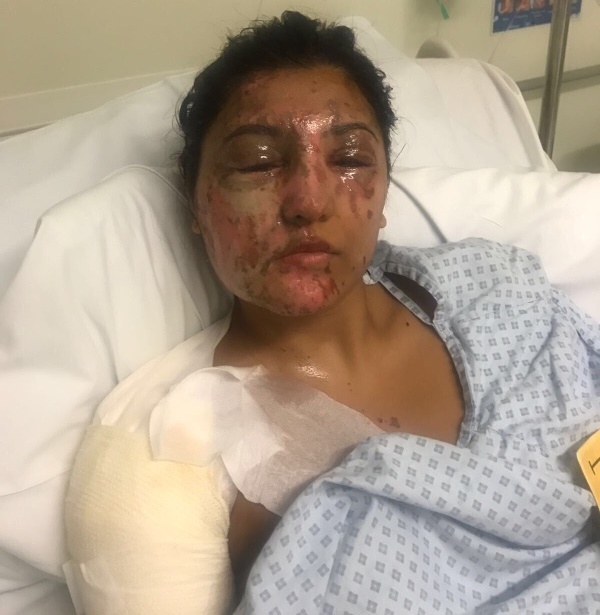 Resham, who had just recently returned from a nine-month exchange programme in Cyprus, needed skin grafts on her face and sustained burns across her entire body. Twitter/ @ReshKay_ Jameel suffered such serious burns that he had to be put into a coma. Following the attack, Resham shared the ordeal on Twitter. “I am so grateful to everyone that has prayed for me. I feel as though I'm blessed to have my limbs and senses. But I loved my face and body,” she wrote in a tweet. In the meantime, a GoFundMe page has been started by one of the 21-year-old’s friends in the hopes of assisting the pair in recovering and rebuilding their lives. "This attack has caused them both to put their lives on hold," Daniel Mann, who set up the page, wrote.